GO BEHIND THE SCENES OF "STATIONARY"
Actors Perri Lauren and Stacie Capone rehearse a scene. Laughing at our own jokes while watching playback. Daniel Goldberg tells actress Perri Lauren something important. Extras getting ready to spin. AD/PM Adam Egizi + slate! Location sound mixer Denzil X. teaches script supervisor Masha the basics of the boom mic. Time to look at the production binder and get stressed. Director Daniel Goldberg has a lot to say about life. Everybody gather around and let's stress about the schedule. Daniel Goldberg makes a witty observation about life. Director Daniel Goldberg imparts wisdom with his hand. DP Jon Fuentes laughing while operating an invisible camera. 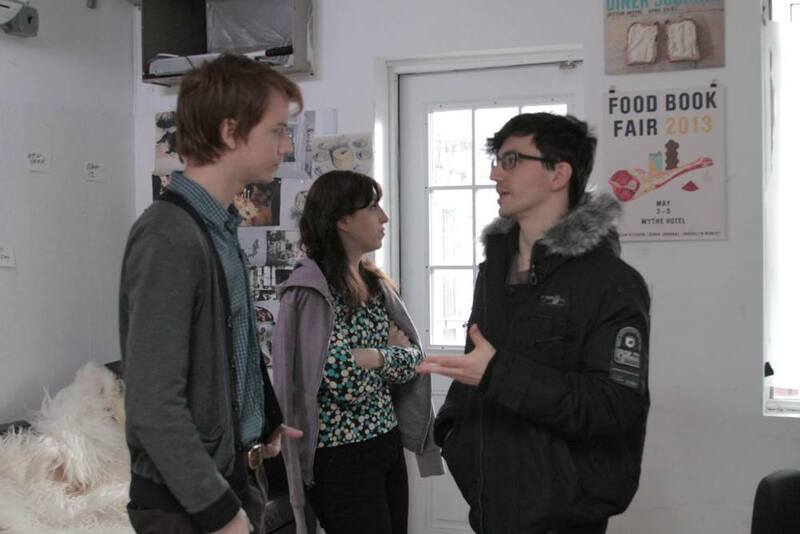 Get updates from the filmmaking team and be the first to see the finished film! Please check your inbox to confirm that you'd like to receive occasional updates as we bring our next story to the screen! Synopsis: Shirley will do anything to get invited to her younger, cooler boss Gwen's favorite workout denomination: Couples’ Spinning. The only problem is that singles definitely are not allowed (it’s a pretty strict policy). The plan Shirley devises could finally get Gwen to notice her, or it could ruin their professional relationship, destroy Shirley’s career, and maybe even get her arrested. Either way, it’s worth a shot.